Choose our affordable holmium YAG laser fibers for holmium lasers. We offer contact laser fibers for Nd:YAG contact laser procedures. Most of our laser fibers are available in disposable sterile packaging. 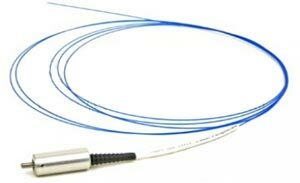 We offer a variety of laser fibers including non-contact holmium YAG laser fibers, diode laser fibers and Nd:YAG contact laser fibers. Most laser fibers are available in disposable (single-use) packaging and individually or box of 5 laser fibers. Choose a laser fiber type to learn more.